Hunted the Boom North plot this afternoon. We were in the stand by 2:30. Michael Engelmeyer – my friend that takes the cool images seen in many of the hunting gear ads — was running the video camera. Michael’s a great hunter and always adds good insight to my stand setups/hunting strategies. 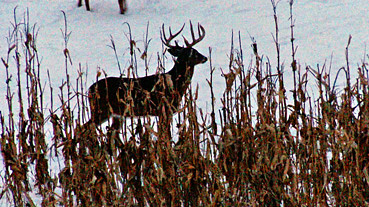 We both felt the setup and strategy was good, and waited patiently for a mature buck to appear. We heard two different flocks of turkeys, and lots of other commotion toward the Crabapple plot which is 200 yards to the northeast and at 300 feet lower elevation in relation to our location. We were skunked this afternoon, but will be doing some recon and hanging a stand in Crabapple for later this week. Crabapple is in a bottom – next to a creek. Plots in bottoms can be tough to hunt during warmer weather as deer tend to bed high and move down to plots to feed. 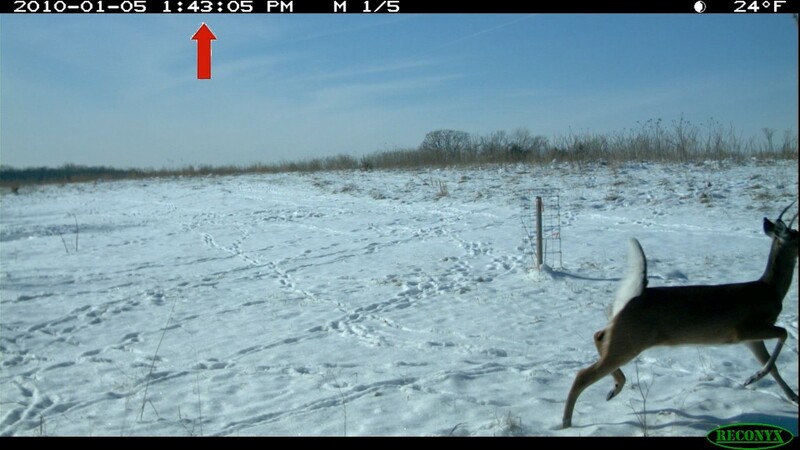 The rising thermals (hot air rises) usually alerts deer to the presence of a predator (hunter) located in a bottom. However, air rarely rises when the temps are very cold as they are now (no sign of global warming at The Proving Grounds lately). The thermal currents should be sinking toward the creek (cold air sinks). 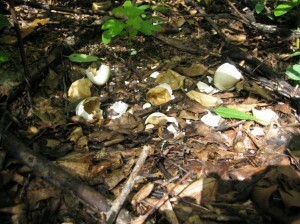 This is more prevalent at the Crabapple plot because it is at the base of a large hill to the west. Hence the field is shaded by the sun early in the afternoon – allowing the air to cool even quicker. This will provide us the ability to enter a stand at Crabapple with the thermals in our favor. Details about the Crabapple strategy and hunt coming soon! Randall Martin and I hunted at The Proving Grounds this afternoon. We hunted a plot with standing corn that has been about 60% consumed. I checked for sign Sunday afternoon briefly and the plot literally smelled like deer so I was very excited to hunt that location today. 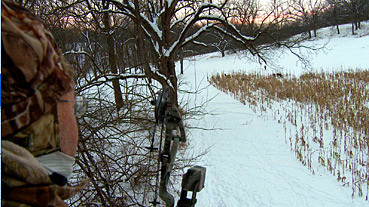 We stalked to the stand about 2 PM this afternoon, got up quietly, and had a favorable wind during the hunt. We didn’t see a deer! We didn’t see a turkey, and only saw one squirrel. 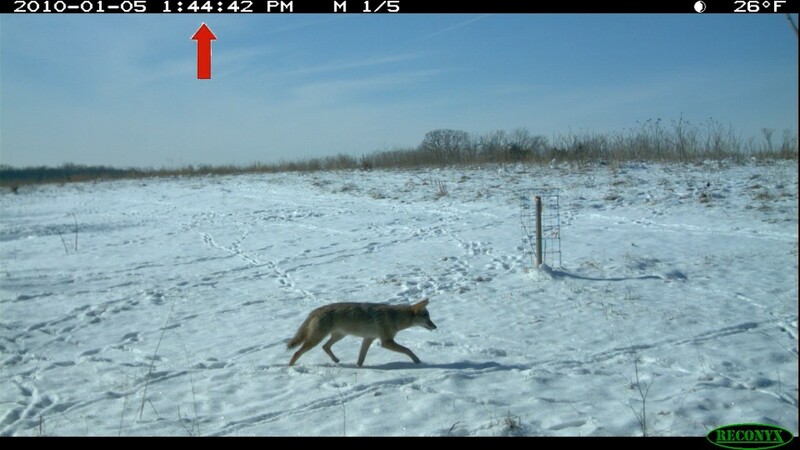 It will be interesting to learn if the Reconyx cameras at The Proving Grounds captured any deer in other plots while we were getting skunked at the Hidden Valley Two plot. I’ll let you know when I check cameras next time.